Dr Huggins joined the Department of Politics and International Relations in September 2017, and is working with Dr Craig McAngus on the ESRC-funded 'UK Fisheries Policy Post-Brexit: Multi-level Challenges and Opportunities' project (ES/R001952/1). Before that he was Teaching Fellow in European Politics at Keele University. He gained his PhD from the University of Portsmouth in 2015. He also holds a Postgraduate Diploma in Social Research Methods, an MA in European Studies and a BA in International Realtions and Politics from the Unviersity of Portsmouth. 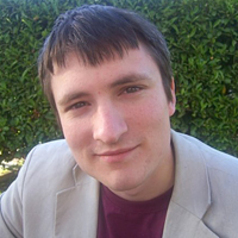 Dr Huggins's research interests centre around sub-national government, the European Union and multi-level governance. His PhD studied how local authorities in Engand and France actively engage with the European Union, often bypassing their national governments and how they participate in transnational networks with other European local authorities. The research focuses on the extent of this transnational engagement, the motivations held by those participating and how effectively they engage.